Read more about Community-oriented Craig Emig of Jones Wallace appeared on WEHT Local Lifestyles to promote the Peace Zone's Recovery Run 5K to be held April 27. Follow the link below to watch! California’s Insurance Commissioner took UnitedHealthcare (UHC) to Court for wrongfully denying health insurance coverage. This resulted in $91 Million in fines against UHC. The case involved over 900,000 violations involving patient claims and other issues against a UHC subsidiary. UHC, through its subsidiary, was found to have committed unfair acts against consumers. Over the last decades the Indiana Attorney General’s Office has had, at best, a spotty record in actually making recoveries for Indiana consumers and residents. UnitedHealth and other insurers reported their first half revenues and earnings for 2018. UnitedHealth’s revenue jumped to over $110 Billion and Anthem’s revenue also increased. Earnings on these exceedingly large revenue streams were over $8 Billion for UnitedHealth and Aetna’s was over $2.4 Billion. These are the two largest health insurers in the United States. Dr. Vidil Sheen has pled guilty to obstructing an FBI investigation related to Medicare program billings. Apparently Dr. Sheen traveled from time to time but while he was traveling he created office notes with false entries reflecting that he had seen patients in his office using his electronic signature. This would be bad enough. The Journal of American Medical Informatics Association recently observed the entry of common tasks like ordering an x-ray in EHR platforms by Epic and Cerner. They were stunned to see the error rate was 50%. This obviously indicates that EHR systems need to be rethought and redesigned. Interoperability, the ability to access medical data without regard to the software or hardware involved, was the key promise of EHR. We as taxpayers have spent billions of our dollars subsidizing the adoption of EHR but without the promised interoperability. What a gorgeous day! 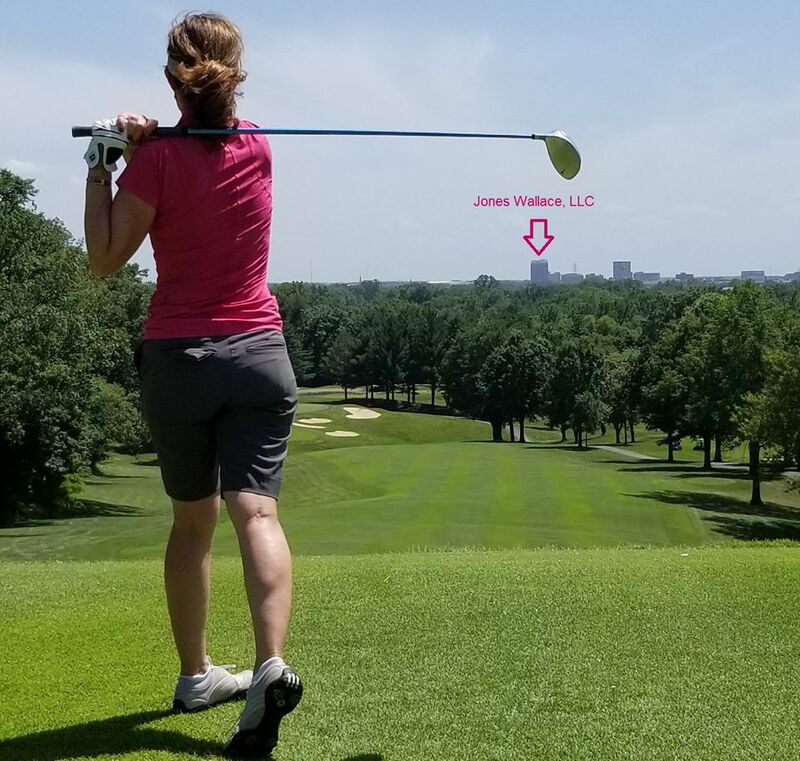 Jones • Wallace, LLC was honored to have sponsored and participated in the ANEW (A Network of Evansville Women) Golf Scramble held at the Evansville Country Club on June 19, 2018! Read more about What a gorgeous day! Jones • Wallace, LLC was honored to have sponsored and participated in the ANEW (A Network of Evansville Women) Golf Scramble held at the Evansville Country Club on June 19, 2018! 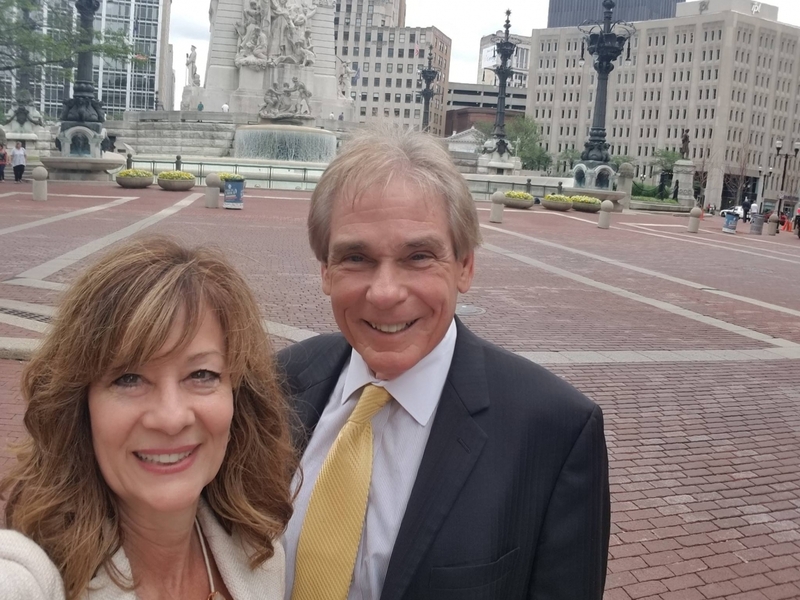 Jones • Wallace in Indianapolis for an Indiana State Bar Association meeting! 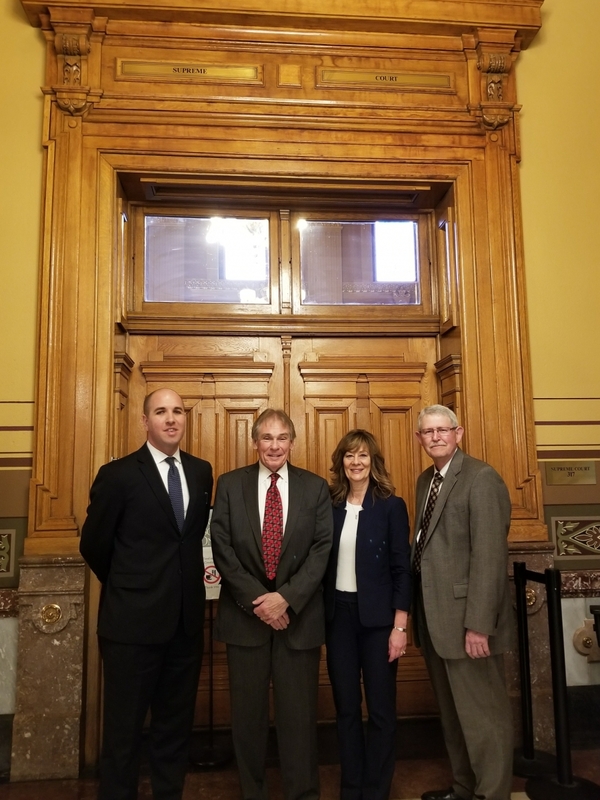 Read more about Jones • Wallace in Indianapolis for an Indiana State Bar Association meeting! Jones Wallace serving their clients in front of the Indiana Supreme Court! 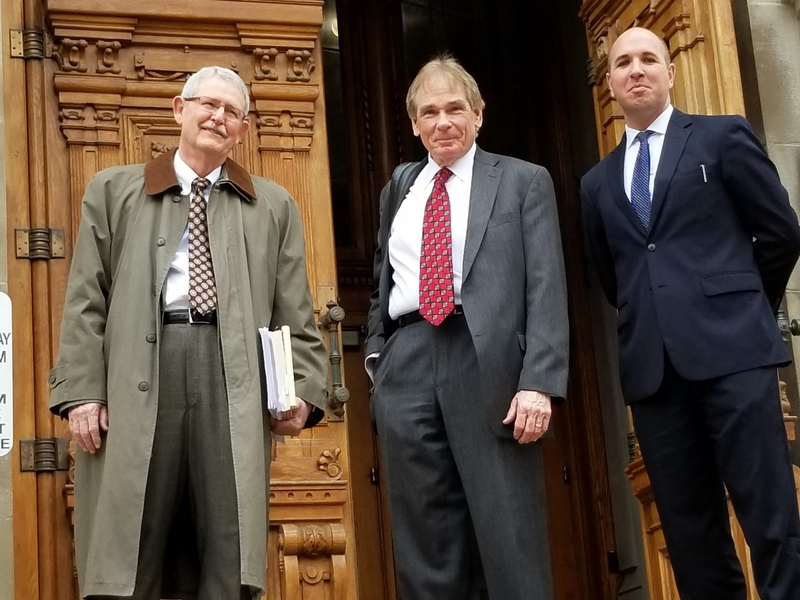 Read more about Jones Wallace serving their clients in front of the Indiana Supreme Court! We have previously written about the federal statute that requires CMS Administrative Law Judges to hear and render a decision within 90 days after a timely request. We have also written that CMS instead takes years to rule on appeals and courts have refused to take action against CMS. The ignoring of the 90 day requirement has created substantial problems. Medicare appeals may take from 3-5 years to reach a decision. AETNA decided it would require HIV patients to obtain their medications by mail. AETNA insureds objected to this for a number of reasons including that the policy would compromise their privacy because the HIV medications are delivered in special refrigerated packages. AETNA insureds sued and AETNA agreed to a settlement allowing its insureds to continue obtaining their prescriptions at local pharmacies. In essence AETNA rescinded its new policy. CMS has clarified that texting may not be used to place patient orders for medication or tests on any platform. It does not matter whether the platform is secure or not. Texting is now not allowed when treating Medicare and Medicaid patients. Therefore texting of orders by physicians on Medicare or Medicaid patients is simply no longer allowable. An employee is gone. Fired or voluntarily. What next? OCR recently posted a bulletin called “Insider Threats and Termination Procedures” reminding the healthcare industry of the recurring risks of terminated employees in accessing or revealing PHI or other important data.